Oakley Holbrook Shaun White Sunglasses. 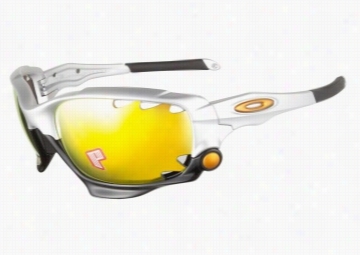 Oakley Radarlock Path 9181 20 Matte White Polarized. 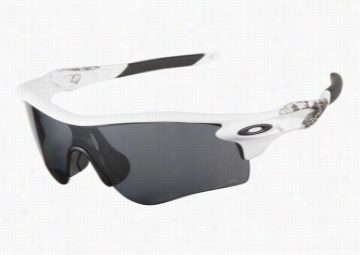 Oakley Radarlock Path 9181 20 Matte White Polarized Sunglasses are the ultimate choice for sport performance. This revolutionary design allows athletes to benefit from multiple performance lenses using the Switchlock™ Technology which simplifies the lens changing process. Each lens is equipped with unrivaled clarity and engineered with High Definition Optics® for the best in impact resistance. These sunglasses come with two sweeping polarized lenses that are contoured to give a wide-angle view while providing extended protection from UV rays and wind. The frame itself is constructed from O Matter™ - a lightweight and durable material - and is equipped with interchangeable nose pads to further raise the bar in comfort.br/This product is not eligible from promotions or discounts. Oakley Junket 1087 0252 Tortoise Sky. 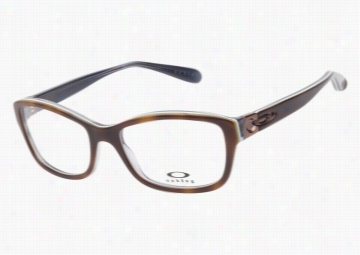 Oakley Junket 1087 0252 Tortoise Sky Eyeglasses are designed to stand out. This flirty feminine silhouette features a layered acetate finish that starts with a lustrous light brown tortoise followed by a thin streak of sky blue and a thicker transparent blue layer. The copper metal hinges lead into a rich metallic brown Oakley logo set into a carved out oval space.br/This product is not eligible from promotions or discounts. Oakley Carbon Plate OX5079 0455 Black Ferrari Red. 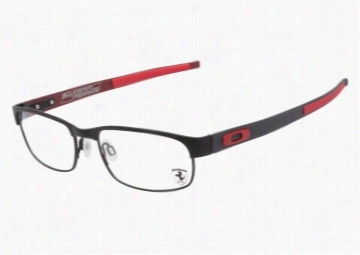 Oakley Carbon Plate OX5079 0455 Black Ferrari Red Eyeglasses embody the ultimate in design innovation. This premium frame is constructed with an ultra-thin and lightweight titanium frame front and carbon fiber temples. These glasses are accented with red enameled "O" logos and inserted rubber strips.br/This product is not eligible from promotions or discounts.